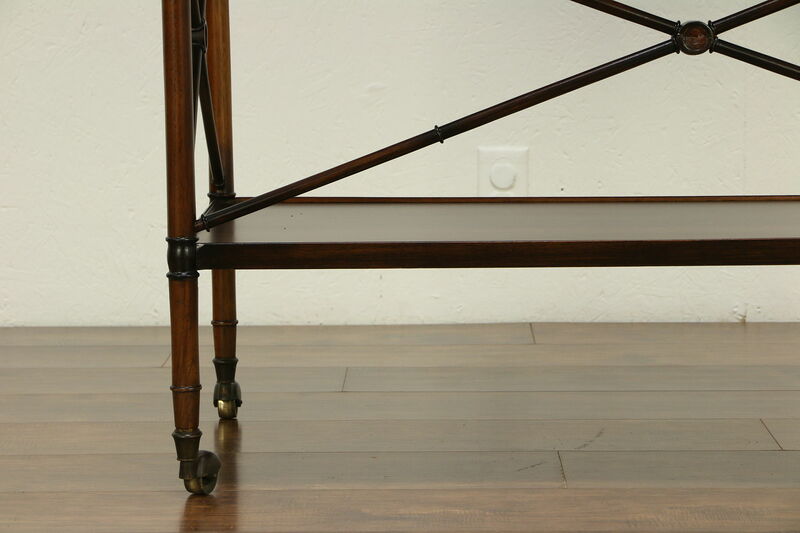 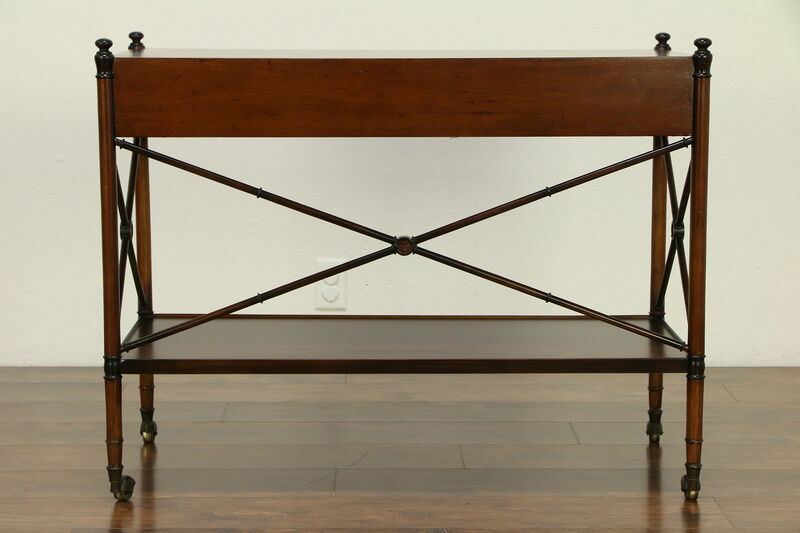 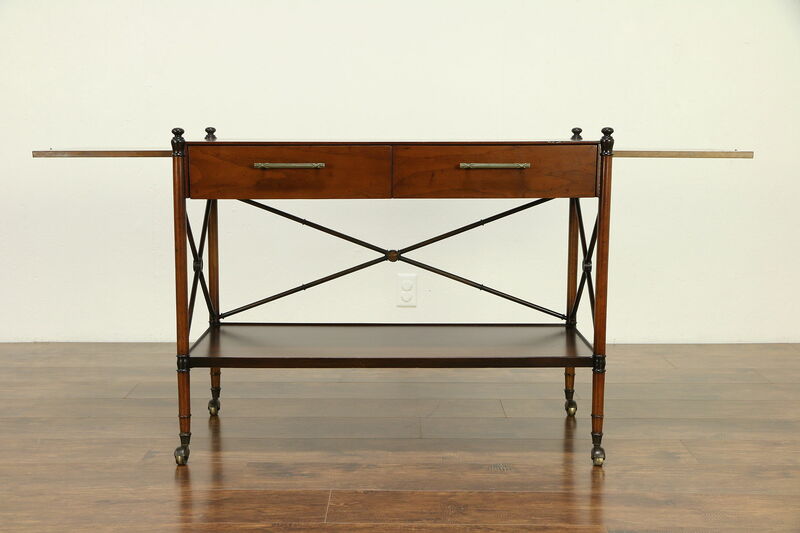 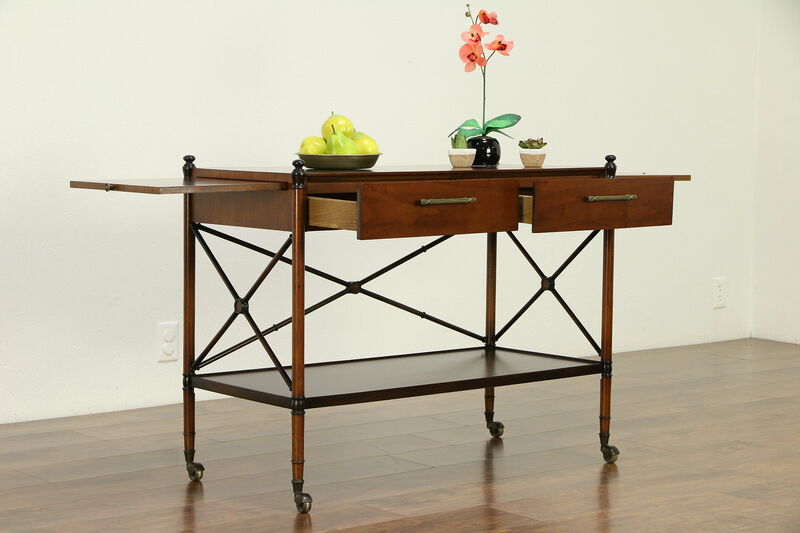 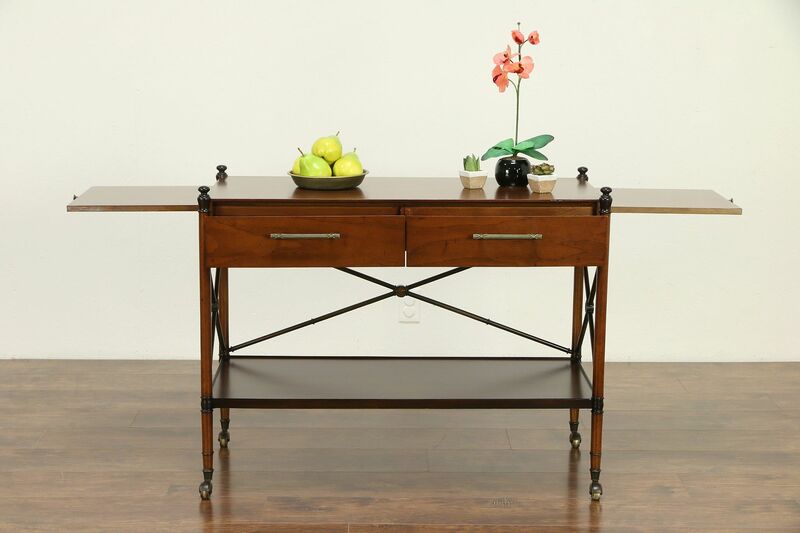 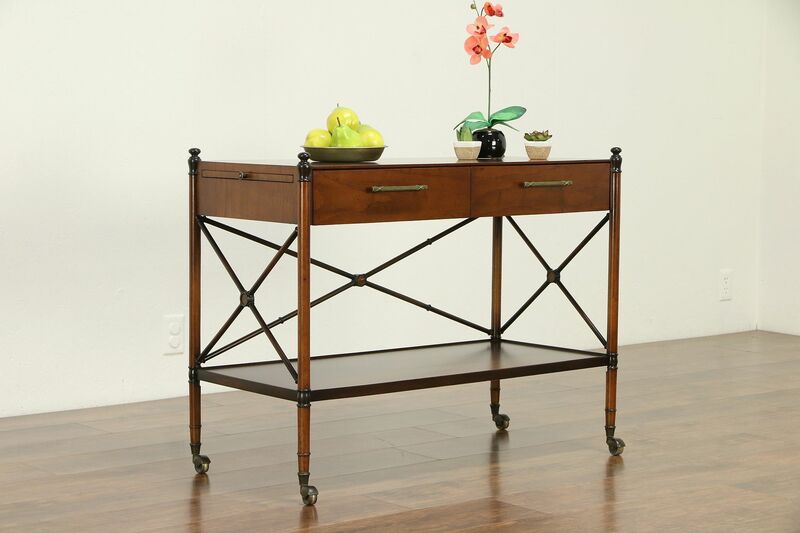 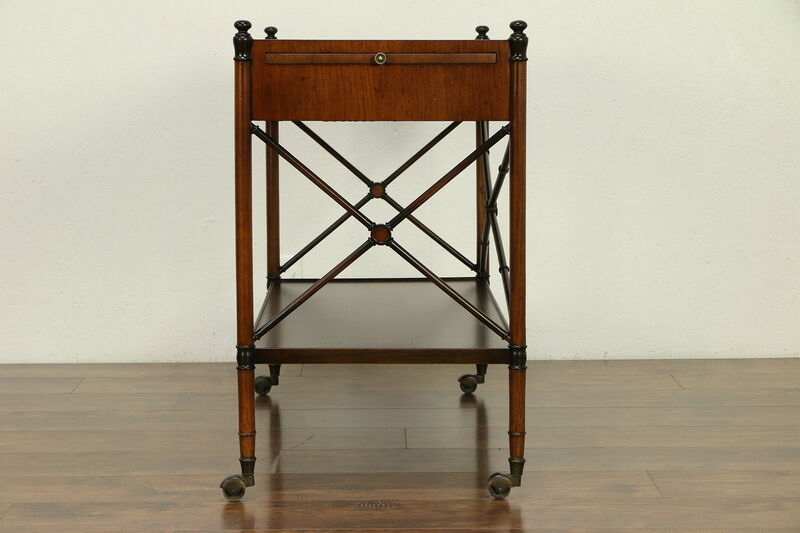 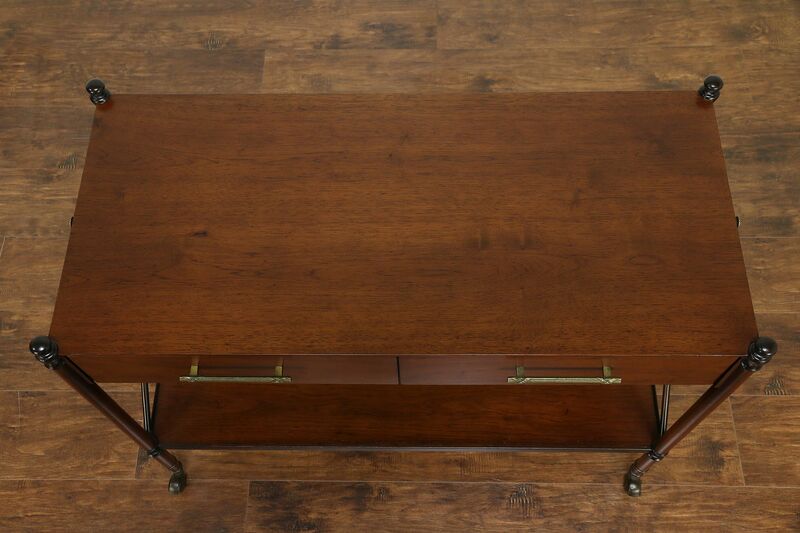 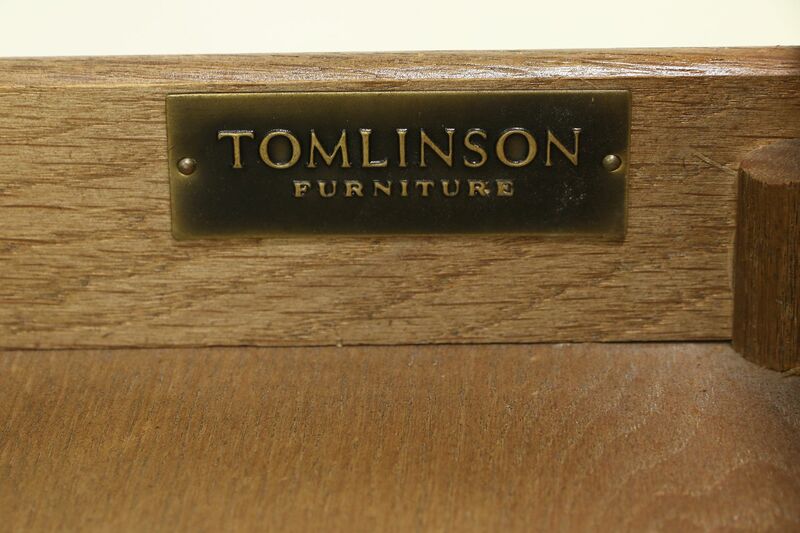 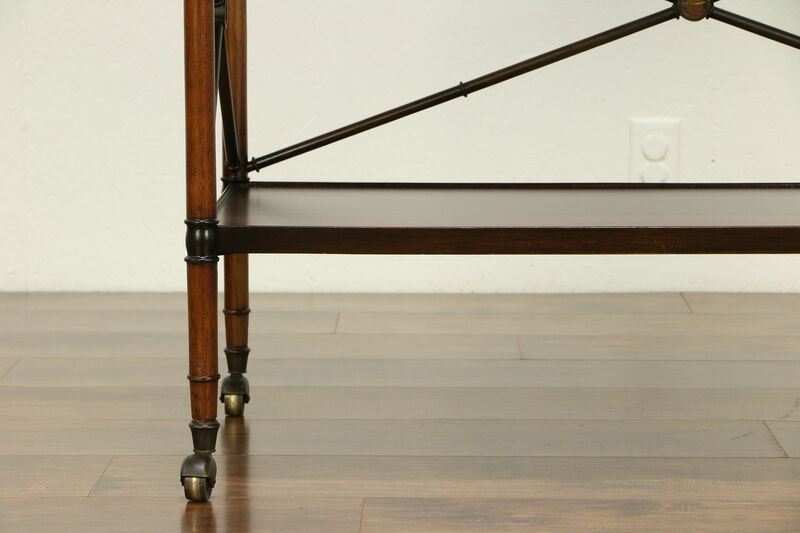 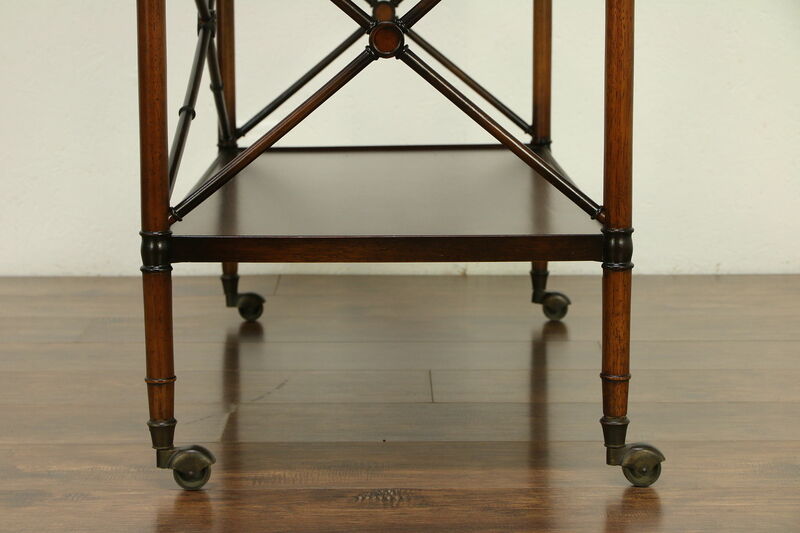 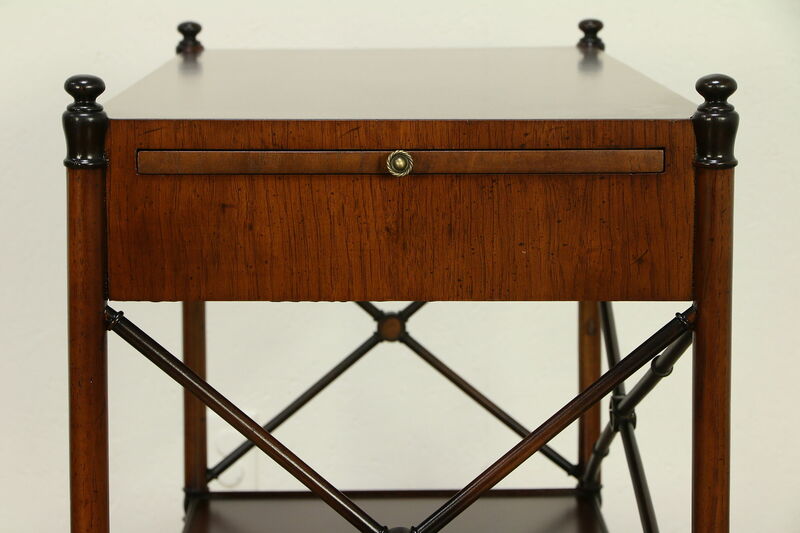 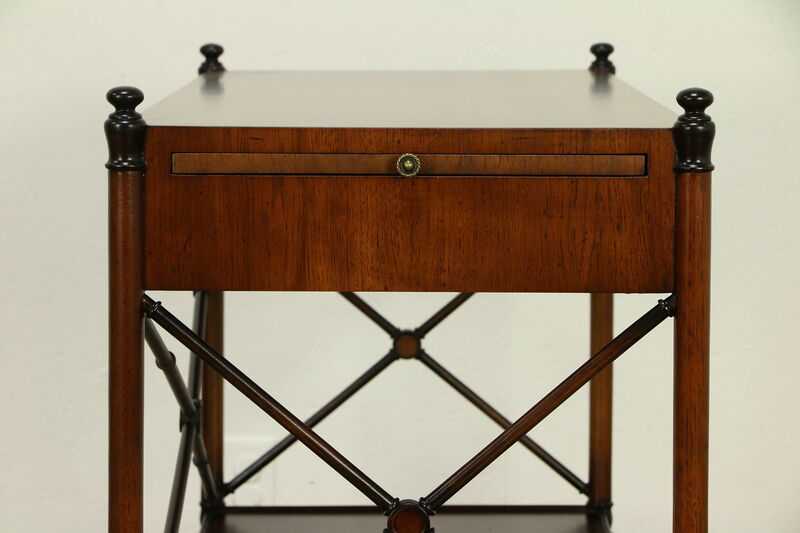 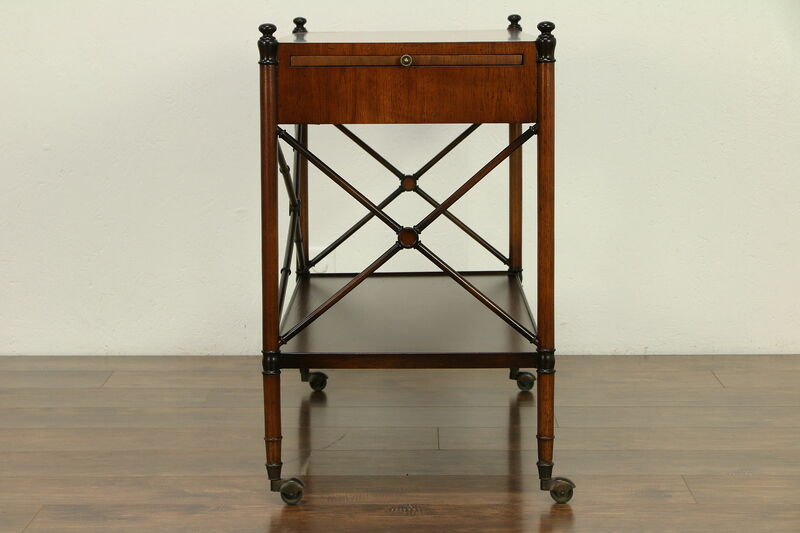 About 50 years old, this pecan bar cart, beverage and dessert trolley or server is signed by noted maker, "Tomlinson." 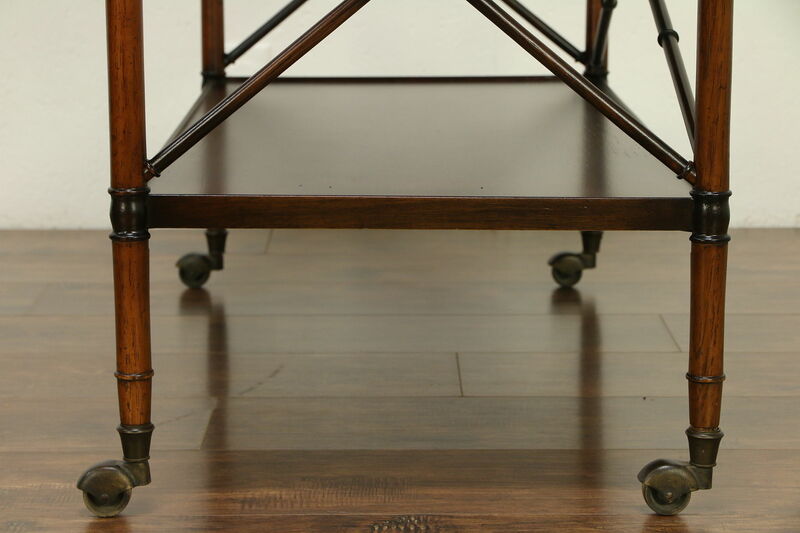 There are pull out shelves at both ends and wheels roll smoothly. 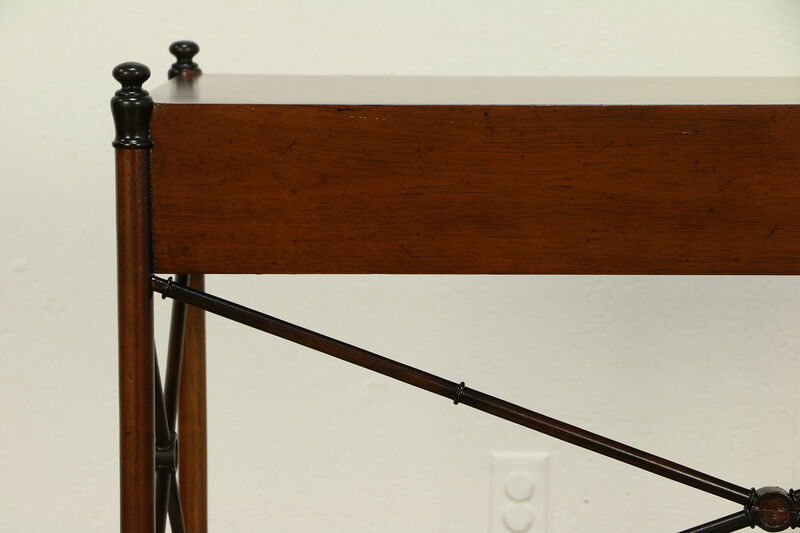 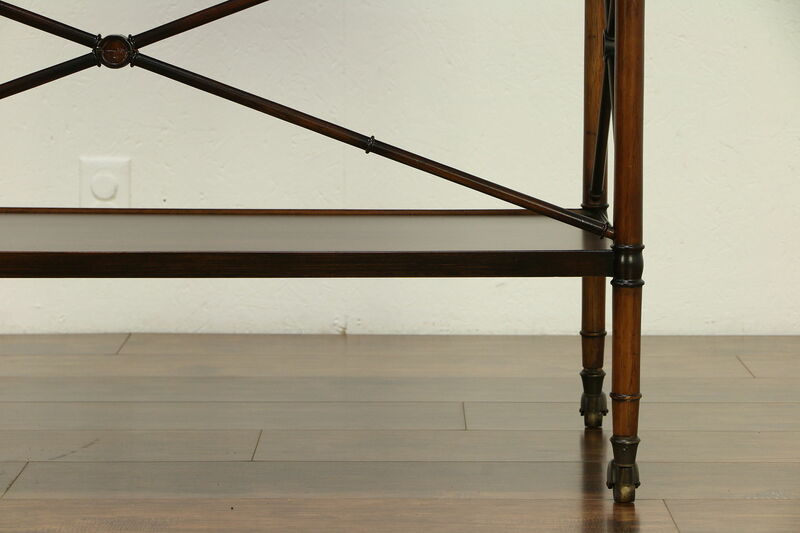 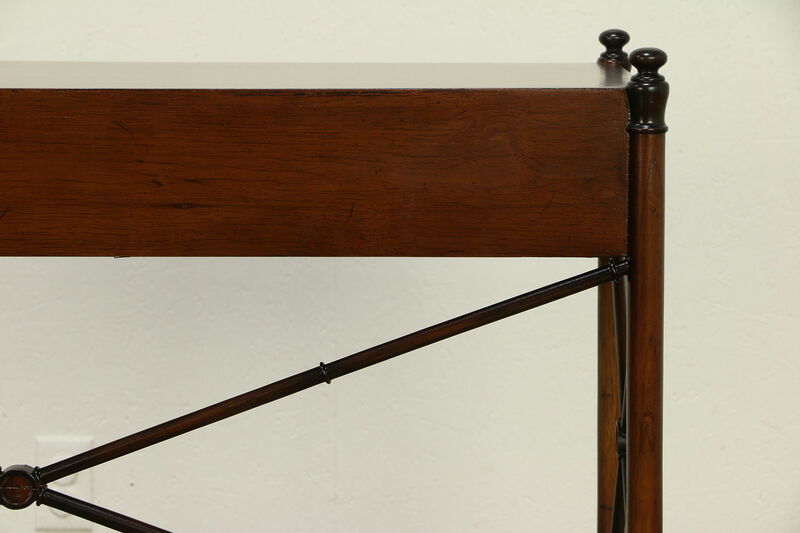 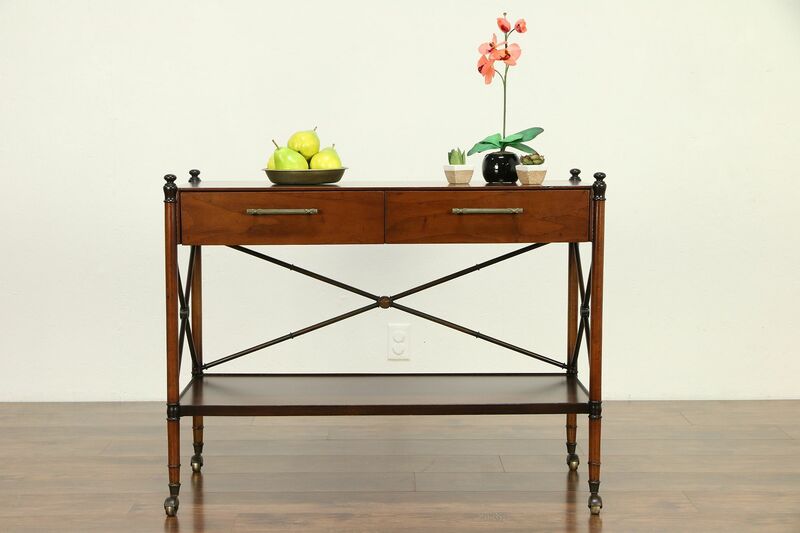 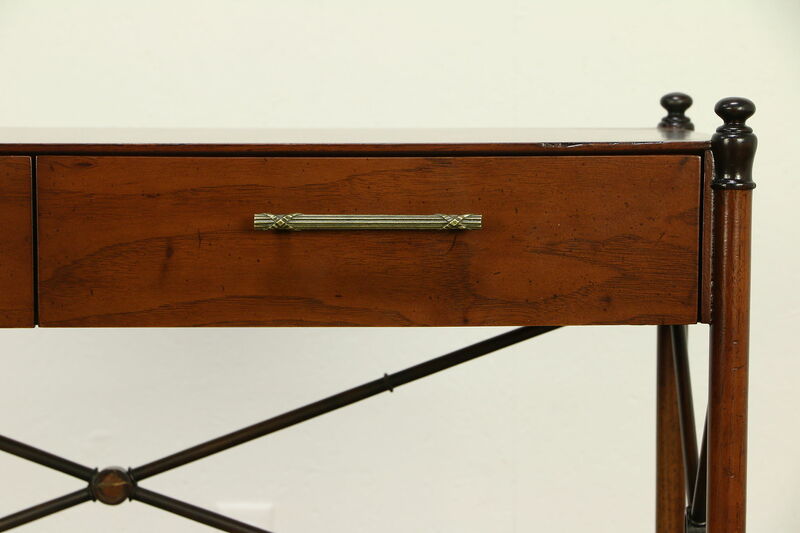 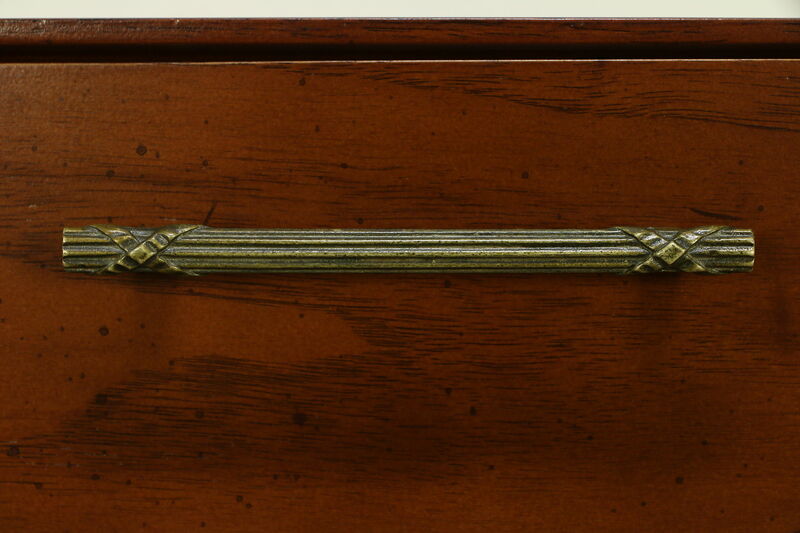 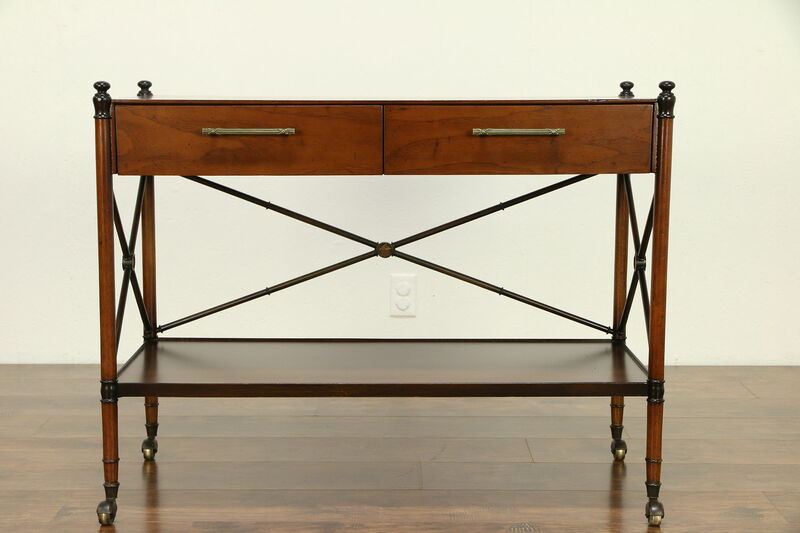 The restored finish is in excellent condition on all sides of this American made vintage furniture. 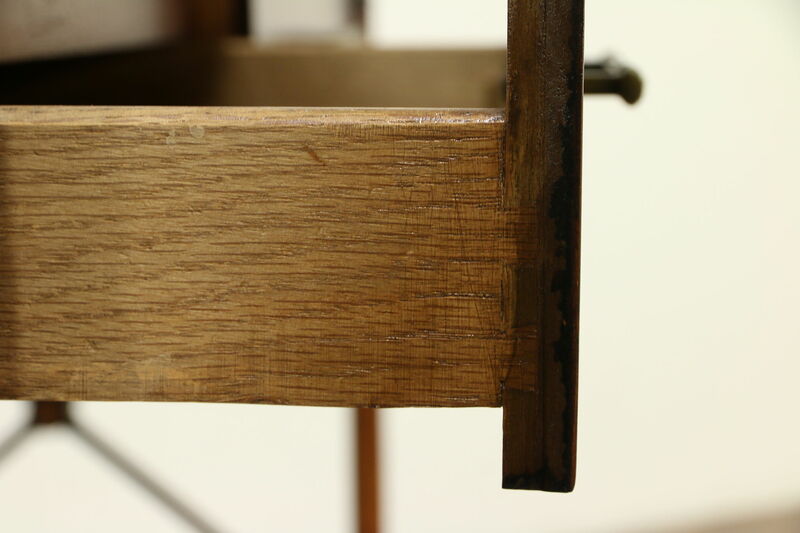 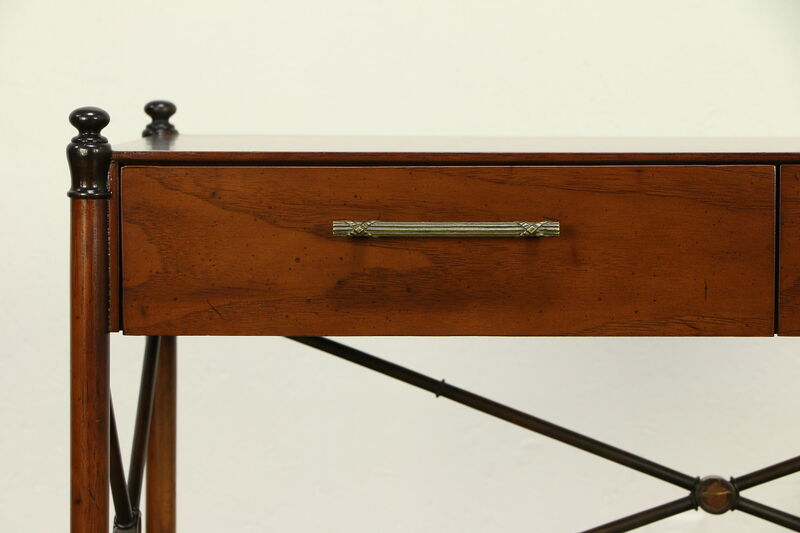 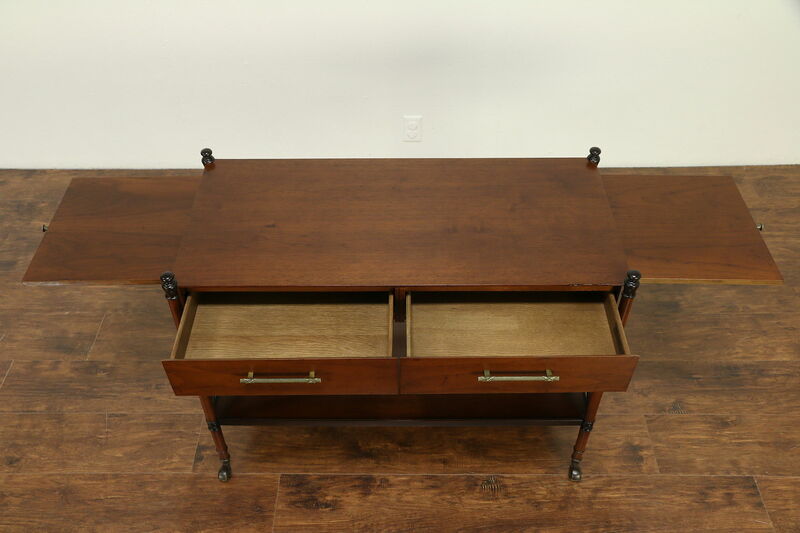 Drawers have original hardware and solid oak sides with dovetail joints. 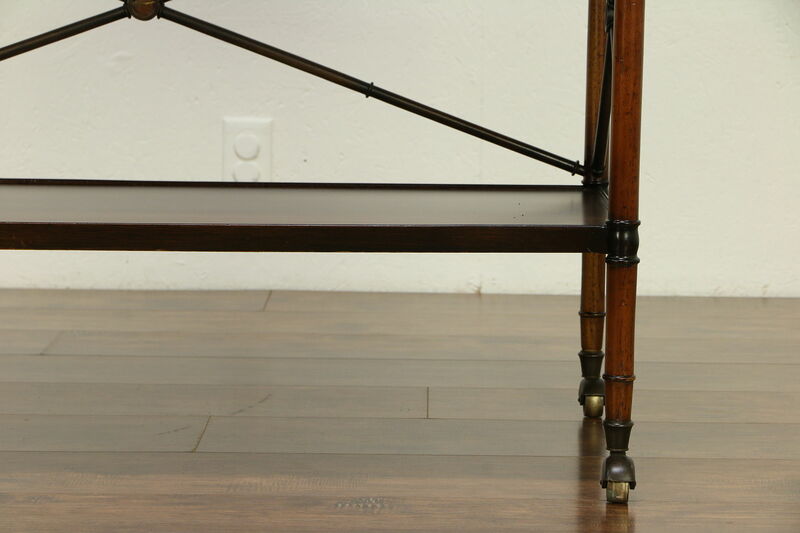 Measurements are 30" tall, 19" deep, 39" long and with both shelves extended, length is 65" overall.